Bottom Line: A lovely red for aged steaks with a generous crowd-pleaser factor. 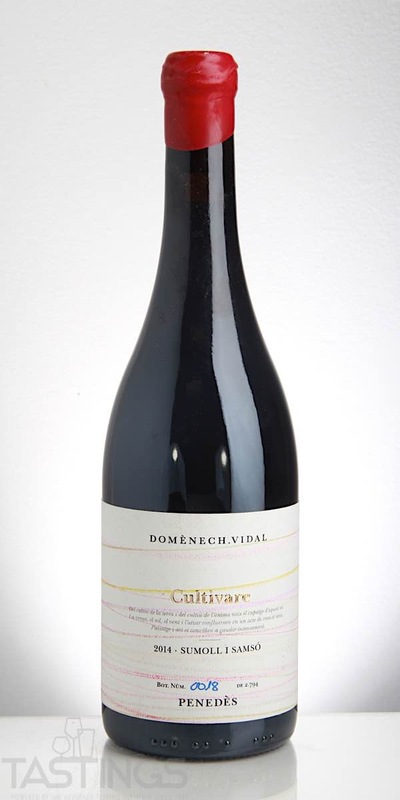 92 • Domènech Vidal 2015 Cultivare, Xarello, Penedes 13% (Spain) $35.00. 90 • Domènech Vidal 2014 Cultivare Sumoll Samsó , Penedes 13.5% (Spain) $40.00. 90 • Domènech Vidal 2017 Freyé, Penedes 12.5% (Spain) $14.00. 88 • Gran Barón NV Brut Sparkling, Cava DO 11.5% (Spain) $14.00. 85 • Gran Barón NV Brut Reserva Sparkling, Cava DO 11.5% (Spain) $18.00. 89 • Gran Barón Brut, Cava DO 11.5% (Spain) $14.00. 86 • Gran Barón Brut Reserva , Chardonnay, Cava DO 12% (Spain) $18.00. 84 • Gran Barón Brut Rosé, Cava DO 12% (Spain) $15.00. 88 • Mistinguett NV Brut Sparkling, Cava DO 11.5% (Spain) $14.00. 88 • Mistinguett NV Brut Reserva Sparkling, Cava DO 11.5% (Spain) $18.00. 88 • Mistinguett NV Brut Rosé Sparkling, Cava DO 12% (Spain) $15.00. 86 • Mistinguett Brut Rosé, Cava DO 12% (Spain) $14.99. 82 • Mistinguett 2015 Brut Reserva Rosé, Cava DO 11.5% (Spain) $16.99. 85 • Mistinguett Brut, Cava DO 11.5% (Spain) $12.99. 89 • Vallformosa NV Col.lección Sparkling Brut Reserva, Cava DO 12% (Spain) $20.00. 85 • Vallformosa NV Col.lección Sparkling Rosé, Cava DO 12% (Spain) $22.00. 93 • Vallformosa Collecció Brut, Cava DO 12% (Spain) $20.00. 95 • Vallformosa Collecció Brut Rosé, Pinot Noir, Cava DO 12% (Spain) $22.00. 89 • Vallformosa Origen Brut, Cava DO 11.5% (Spain) $17.00. 90 • Vallformosa Origen Brut Rosé, Garnacha, Cava DO 12% (Spain) $18.00. While there are several important red wine regions in Spain, such as Rioja, Priorat and Ribera del Duero, other regions are home to some distinctive wines. The largest of these is Castilla-La Mancha, neat the cities of Toledo and Madrid in central Spain. 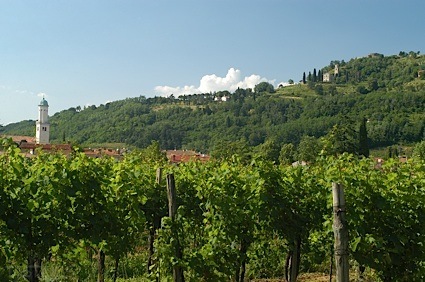 This is one of the largest expanses of vineyards in the world; red wines range from lighter-styled reds to Gran Riservas made from Tempranillo, much in the style of the best wines of Rioja. Wines from La Mancha are relative values. Other regions include Catalonia in northeastern Spain where Penedès and Empordà wines originate as well as Alicante from the province of Valencia on Spain's south east coast. Domènech Vidal 2014 Cultivare Sumoll Samsó , Penedes rating was calculated by tastings.com to be 90 points out of 100 on 5/3/2018. Please note that MSRP may have changed since the date of our review.